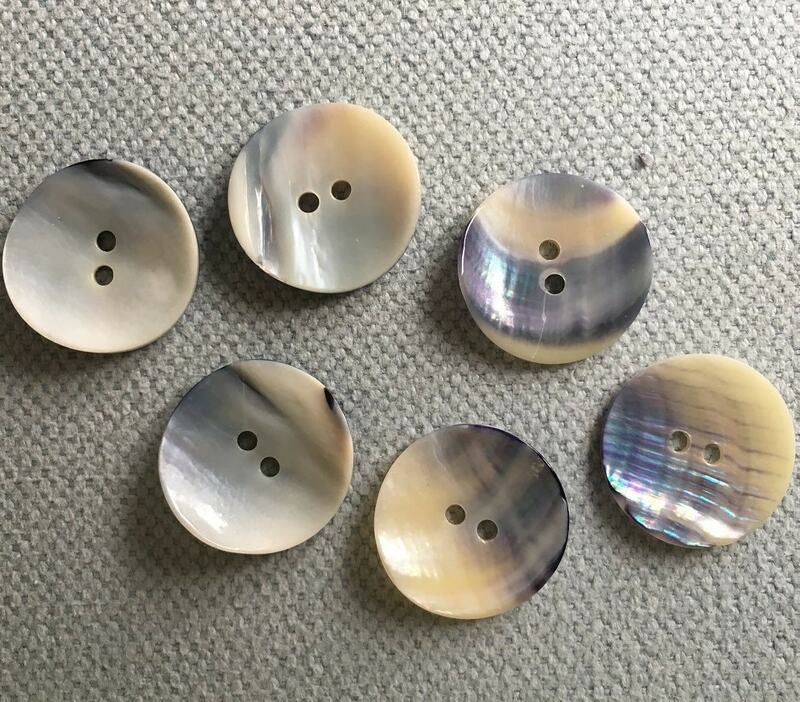 Vintage mussel shell buttons with two holes, pretty blue highlights and a pearly finish. 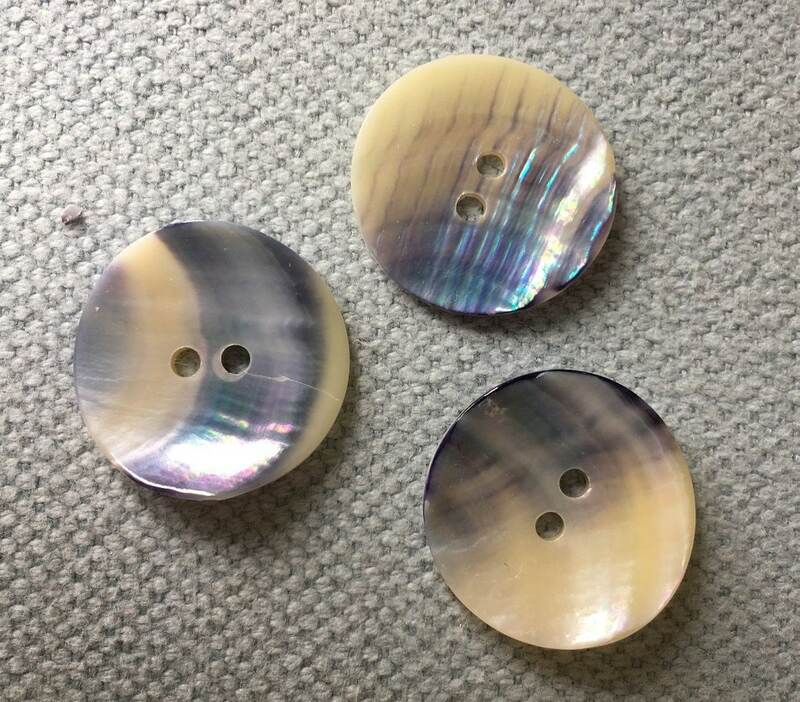 These classic buttons are some of the remainder of the stock I accumulated during the 1990s when I was running my vintage-style clothing business. They would be ideal for trimming any of our bags, or on clothing. 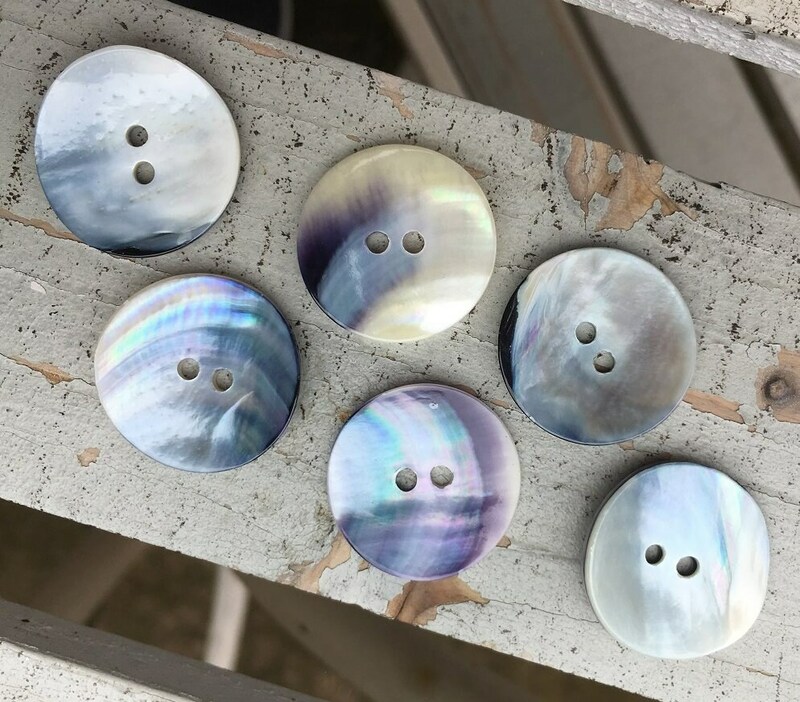 They measure 22mm or 7/8" diameter and you will receive three buttons for $1.50. I don't have many of these and as they are a natural product, they vary a little in finish and how much blue they have on them. However, I will do my best to pick three that tone well together.